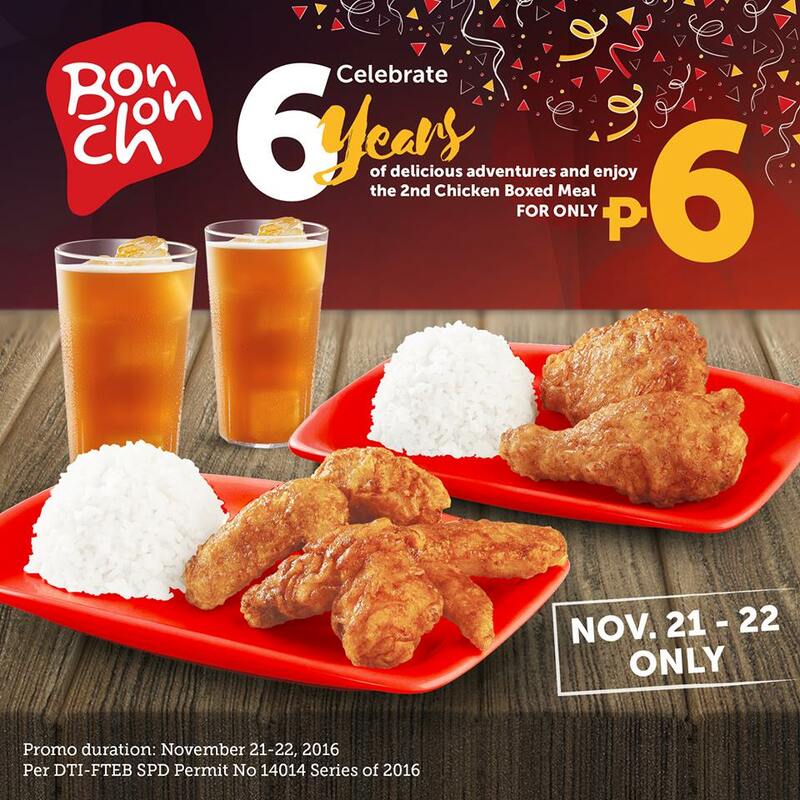 Are you ready for Bon Chon’s 6th Anniversary Treat?? Buy any Php155 Boxed Meal and get the 2nd chicken boxed meal for only Php6! Buy any Php 155 boxed meal from BonChon and get the 2nd chicken boxed meal for only Php 6. Php 6 Boxed Meal is exclusive to chicken boxed meals only. 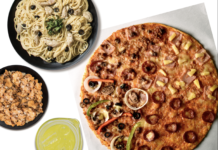 Php 6 Boxed meal must be availed within the same transaction as the P155 purchase. Promo is exclusive to iced tea. Promo is not valid in conjunction with other promotions and discounts. 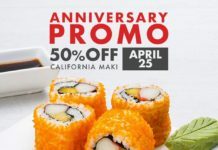 Promo valid for dine in and take out transactions only. Promo is not valid for bulk orders. 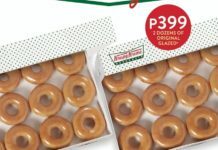 Promo not applicable for transactions up to a maximum of P3,000 only.